For eight teams the Rugby World Cup is only just hotting up with this week’s quarter finals set to really separate the men from the boys. But for 12 others the tournament has ended in defeat. Some were expected, some were a shock, while others saw sides play out of their skin to go down by the narrowest of margins. Not only did Japan pull off one of the biggest shocks, not just in this tournament, but in World Cup history, but the Cherry Blossoms bagged another achievement in their seventh finals appearance. Their 34-32 victory over the Springboks set them up for a wonderful tournament that brought about another two triumphs. An exit from the tournament marks the first time ever that a team has failed to progress after winning three pool matches. his year’s competition marked another first for one of the apparent minnows with Georgia winning two matches in a tournament for the only time in their history. Their opening success against Tonga saw moments of unconfined joy amongst the Lelos ranks, but it wasn’t to end there. A second success against Namibia added the icing on the cake of a campaign that included a bruising battle against New Zealand that saw them stay in the tie for longer than many would have expected, so much so that flanker Mamuka Gorgodze was named Man of the Match. The All Blacks may steal the limelight with their pre-match Haka, but they are not the only side that like to put on a show before a match. Samoa’s Siva Tau, Fiji’s Cibi and Tonga’s Sipi Tau will no longer be seen at this tournament, as the trio bowed out at the earliest possible opportunity. The notion that rugby is a game for thugs played by gentlemen may have been kicked into touch by Sean O’Brien’s unnecessary sucker punch to France’s Pascal Pape on Sunday, but there have been some great moments in the tournament. None more so than when Namibia, winless in their five fixtures scored a try in the dying seconds of their final game against Argentina. Instead of letting the fly-half poke through for a meaningless conversion, up stepped prop Johnny Redelinghuys to take the kick in the last moments of his international career. For many fans across England, the World Cup is over. It may be a fickle way to look at things, but very few would have predicted the hosts not to be entering the second stage of the competition. The Red Rose’s exit meant that they were the only one of the sides from the British Isles to fail to progress. Stuart Lancaster’s position may now come into question after defeats to Australia and Wales banish his side from the tournament, but time will tell. 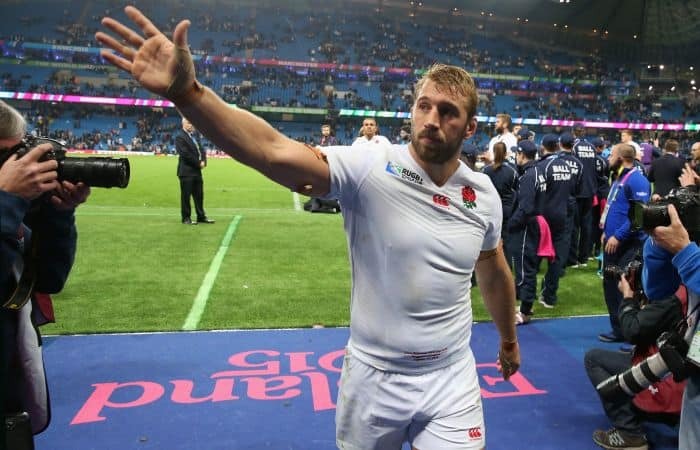 The fact that Chris Robshaw and Co will not be seen again in the competition again could be the biggest regret for English rugby fans up and down the country.